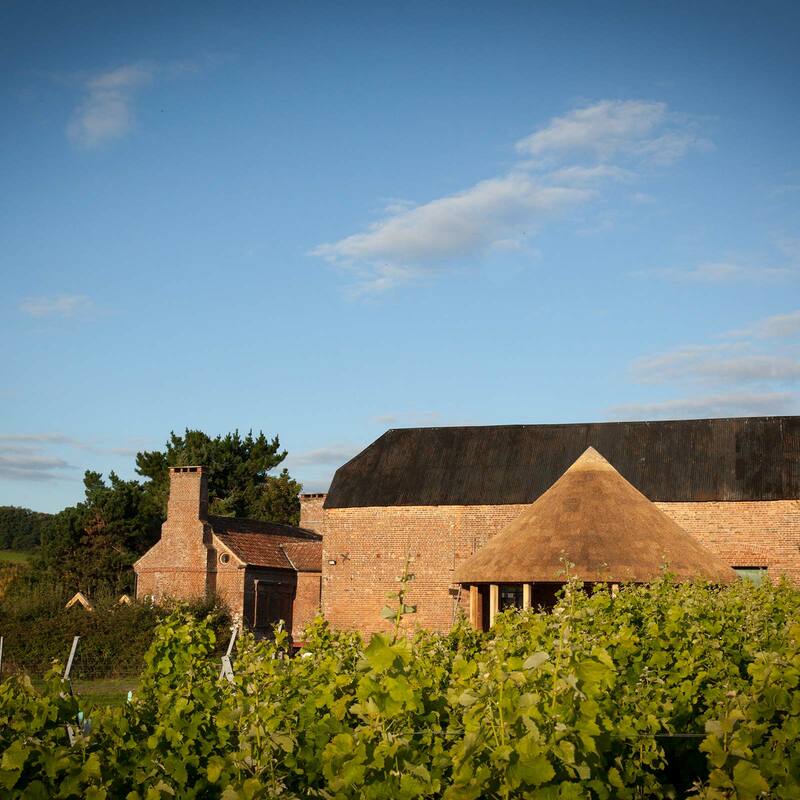 Brickhouse Vineyard is the latest addition to the English vineyards map. 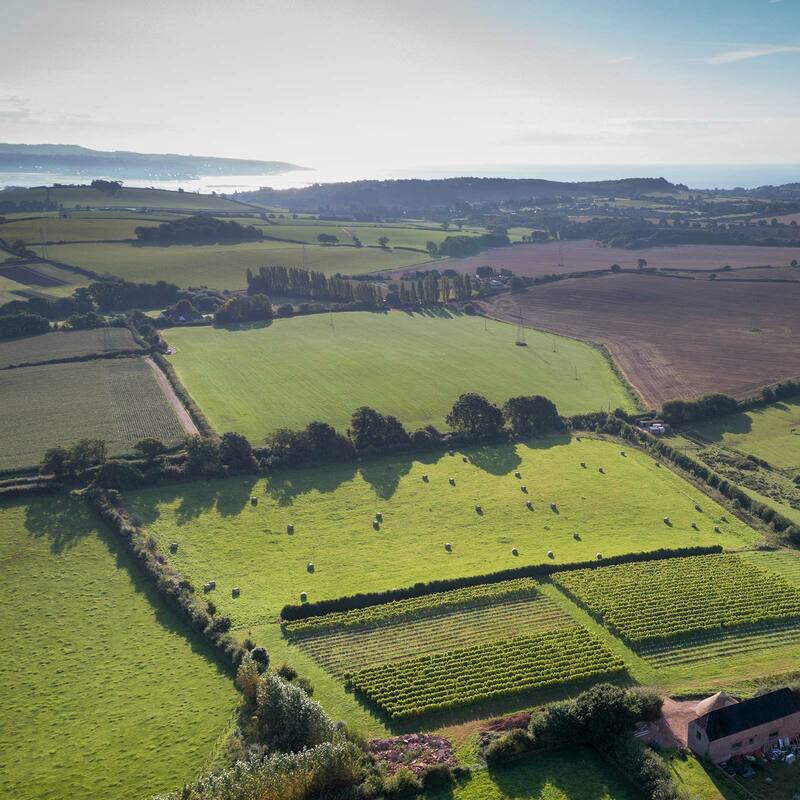 This Devon vineyard is situated between the Eastern slopes of Haldon Hill and the River Exe estuary, making the most of the English climate and fertile red soil in a simply stunning location. The estate includes 20 acres of fields, woodlands, ponds and organic gardens with its own microclimate which is just perfect for growing a range of grapes including Sauvignon Blanc and Pinot Noir, which are the principle grape varieties used in production of our white and rosé wines. Be sure to put us on your Devon vineyard tours list! You can read more about our wine tasting packages here. The vineyard was established in 2008 and we took over operations in January 2016. Since then we’ve made significant improvements, discarding unproductive vines and planting new varieties more suited to the local environment to produce sparkling wine. We currently produce around 1000 bottle of wine a year, with ambitions to increase this to 4000 a year. Matt is passionate about keeping our vines healthy and productive and developing our vineyard further. 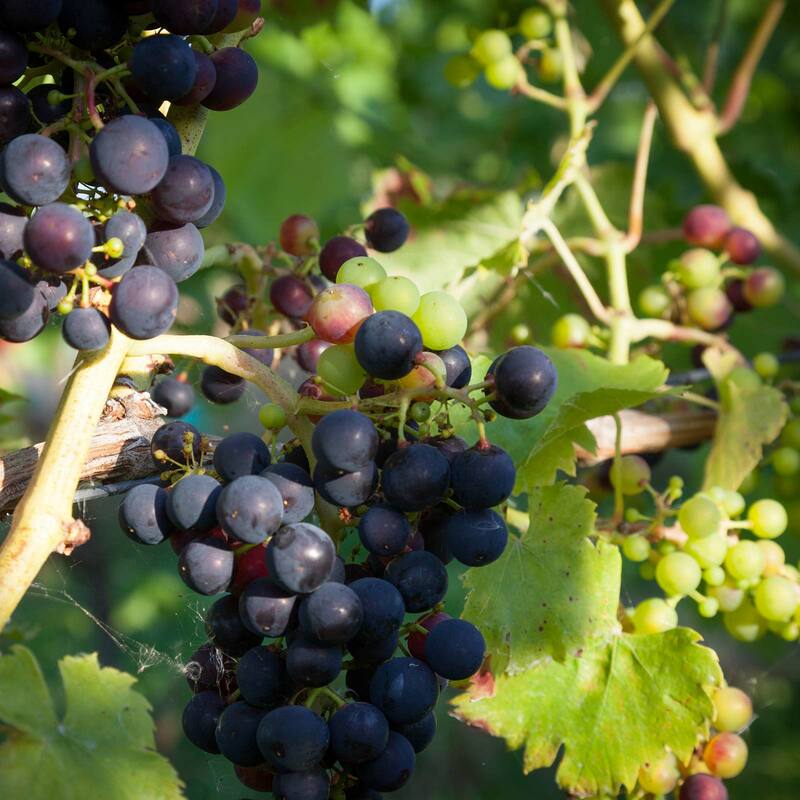 We are members of the South West Vineyard Association and UK Vineyard Association. Encouragingly, our first harvest of Sauvignon Blanc won bronze in the South West Vineyard Association Awards in 2016. We hope you can taste our work on a wine tasting soon. The classic grape variety of Champagne and Burgundy, Pinot Noir is also increasingly important for English sparkling and rose wines. The variety thrives in cool climates and produces delicate thin-skinned grapes with low tannins & an abundance of red fruit flavours and aromas. The classic grape variety of the Loire Valley in France, it thrives in cool vine-growing regions or warmer regions that have a cooling influence. It makes lovely dry white wines characterised by a pure zesty character with gooseberry aromas and refreshing acidity. A hybrid grape variety created in Germany by Professor Gerhardt Alleweldt in 1990s. It grows successfully in the UK due to our cool climate and a long growing season. It produces colour intense red and rosé wines with cherries and black currants aromas and moderate acidity. Our idyllic location combined with Devon red soil provides a unique microclimate in which our grapes thrive. 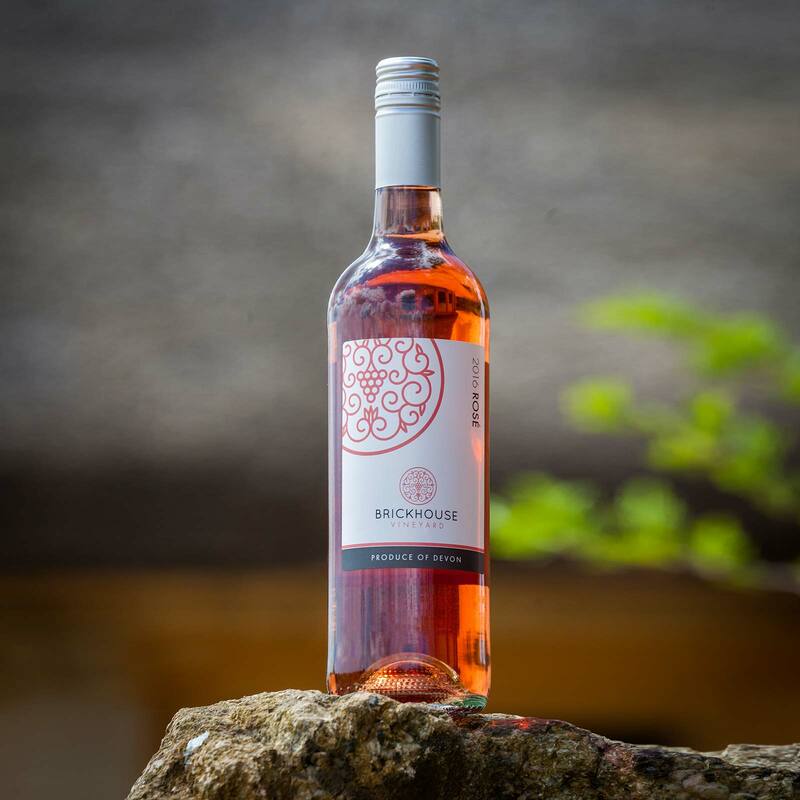 Our Rosé is an elegant blend of Pinot Noir and Regent grapes with distinct aromas of raspberries and red currents. The palate is subtle with fresh summer fruit flavours and a touch of grapefruit. This wine is delightful as an aperitif but is also a great accompaniment to white meats and salads. We are very pleased to release our first vintage of Sauvignon Blanc following an exceptional harvest in 2016, collecting Bronze in the South West Vineyard Association. This is a beautifully fragrant Sauvignon Blanc with vibrant aromas of lime, lemon and gooseberries. Combined with refreshing, crisp acidity and citrus flavours, it makes a delightful Summer aperitif and perfect accompaniment to seafood, shellfish and white fish. Brickhouse Vineyard Ltd. received part funding from the European Agricultural Fund for Rural Development. This funding assisted in the restoration of the Round House and launch of the Brickhouse Vineyard events venue. © Copyright 2019 Brickhouse Vineyard Limited.